Supreme's upcoming collaborative collection with legendary designer Jean Paul Gaultier consists of a range of different apparel and accessories, including jackets, hoodies, t-shirts, sunglasses, belts and more. 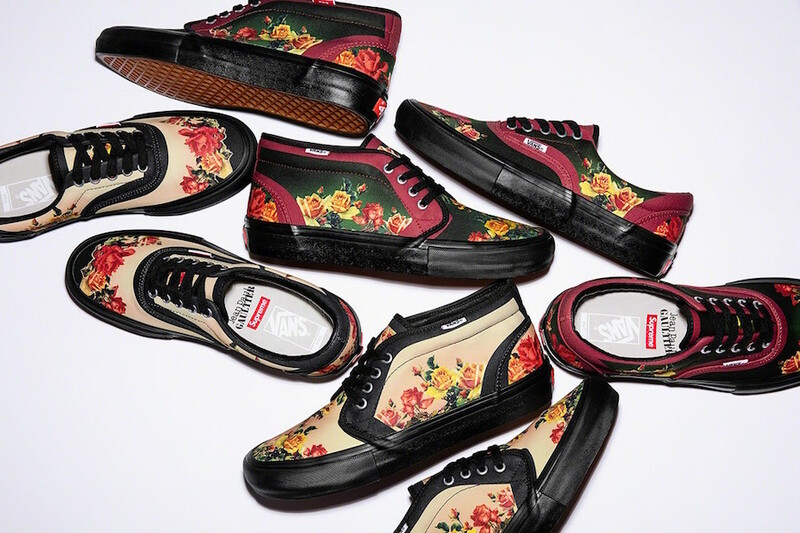 Additionally, the Supreme x Jean Paul Gaultier partnership has resulted in a four-pack of floral-printed Vans, which figure to be among the most coveted items in the collection. 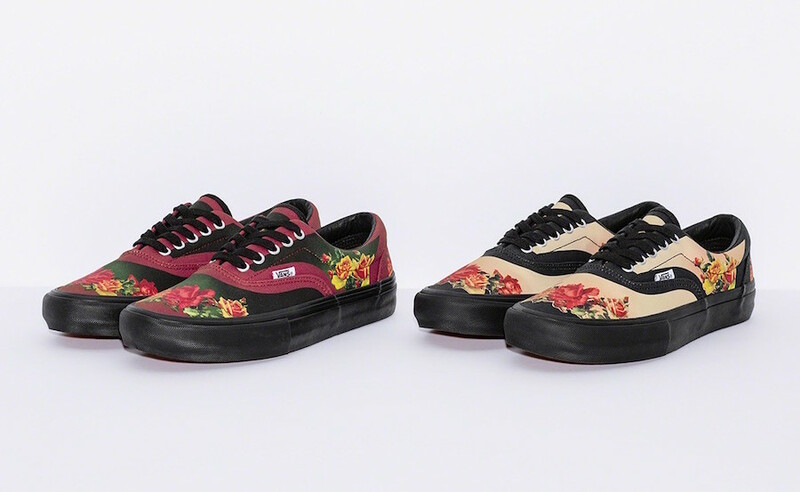 The Vans Era Pro and the Vans Chukka Pro serve as the silhouettes - each of which features the same floral detailing atop either burgundy or tan uppers, along with black detailing and triple-branded insoles. Supreme has not yet announced pricing for the limited edition kicks, but we do know that they'll release alongside the rest of the Jean Paul Gaultier collection this Thursday, April 11. All of the gear will be available via Supreme's online shop, as well as their brick and mortar locations in Manhattan, Brooklyn, Los Angeles, London and Paris. 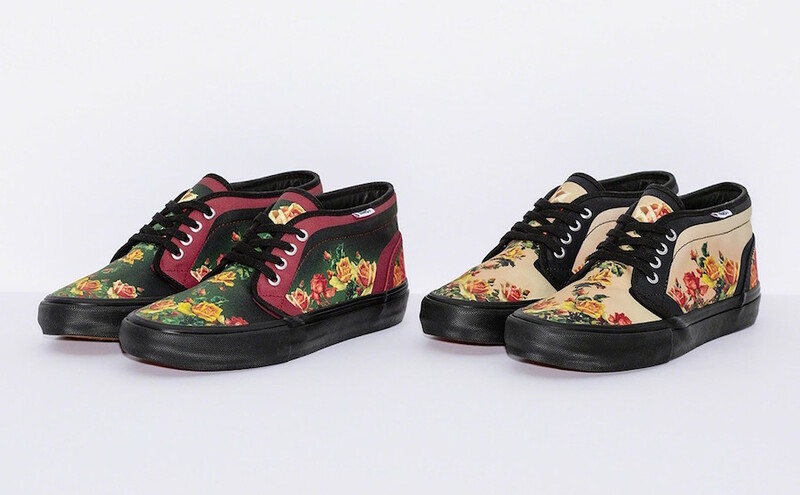 Check out both sneaker styles below.